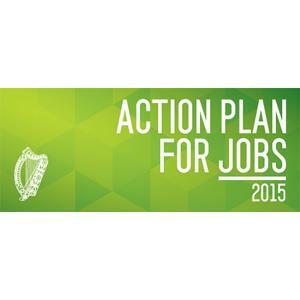 The Government's Action Plan for Jobs 2015, which was published on 29th January 2015, contains specifc actions and impact measures for HEIs around promoting enterprise and entrepreneurship education. 185 Map relevant activities in higher education institutions as part of the overall strategy for higher education engagement with enterprise and embed entrepreneurship support within the HEI System Performance Framework. 186 Develop an enterprise engagement strategy for higher education to include entrepreneurial education as an important part of the national framwork for enterprise engagement. 187 Set out performance indicators and measures to benchmark entrepreneurial activity in Irish higher education. CEEN will be supporting HEIs to respond to these actions through the range of events and projects to support entrepreneurship education across the sector.